“Goldbricking” is a term that means pretending to be productive. Its’ origins are in trickery, the act of conning someone by painting a brick gold. The use of the phrase seems likely to be a wry joke when applied to Imin Yeh’s studio output, which is characterized by monotonous labor and work ethic. Perhaps she asks if there is something consonant in the transformation of refuse, not only into art, but clean, often minimal art, at that. Yeh’s work has consistently explored issues of labor and production. While at Recology, struck by the volume of corporate detritus, she has gathered the discards of businesses and offices. 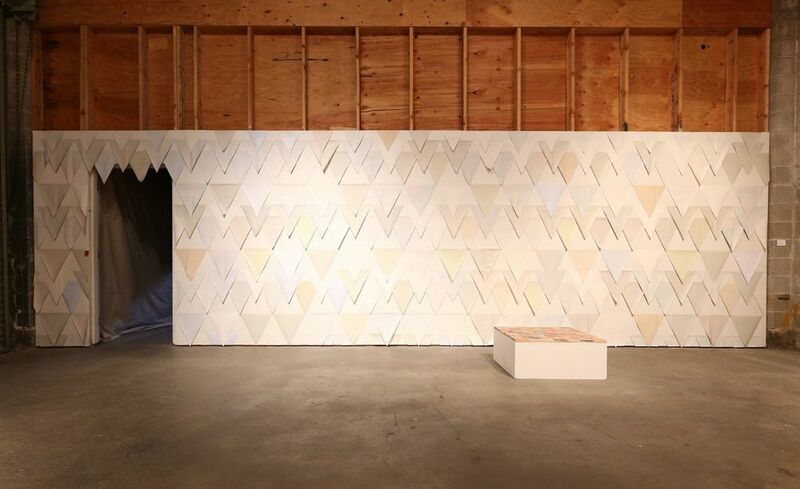 Trade show banners have been sliced up and painted with varieties of white housepaints, the traces of their signage showing through slightly, illuminating the emptiness of their original content. 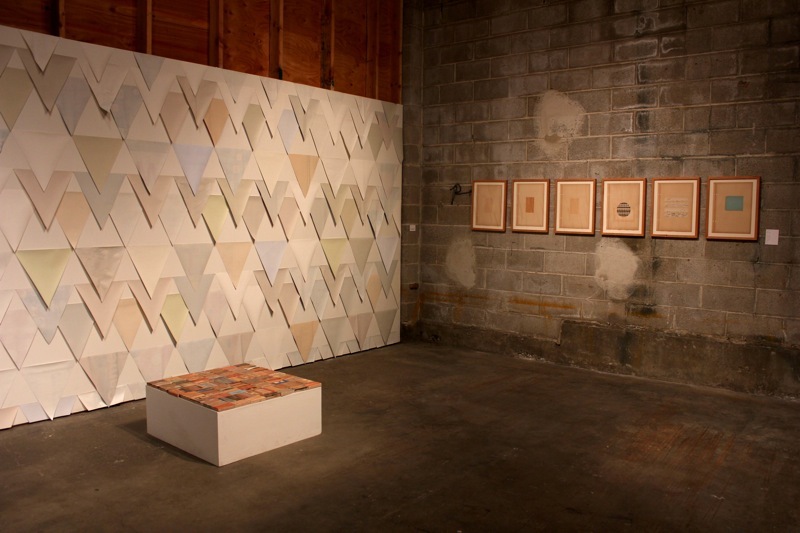 FromCutting up discarded hotel uniforms, she has created a textile work of monochromatic, geometric forms. 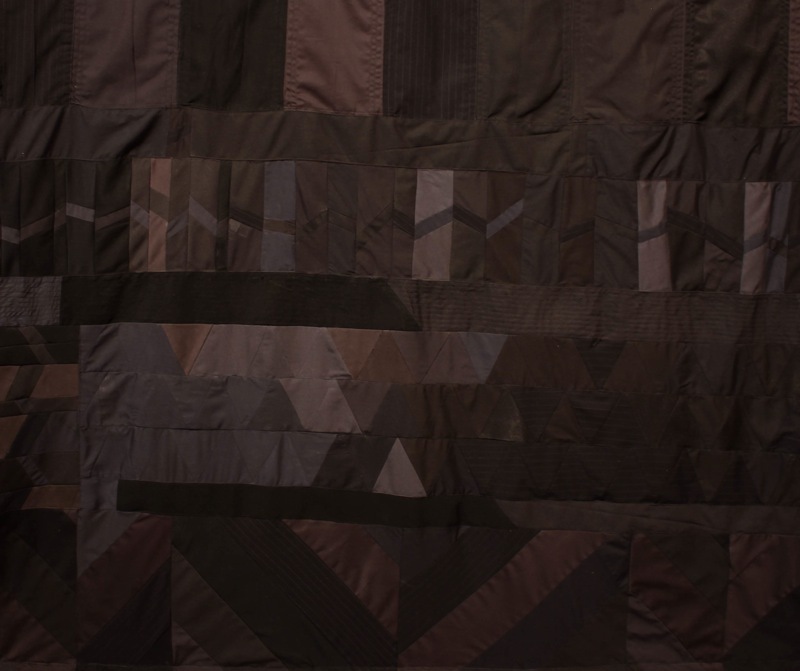 Small variations in the shade and texture of the fabrics reflect the wear and laundering of each garment, and are suggestive of the individual experiences of each worker. These subtle shifts in color and tint are also a commemoration of overlooked individual and creative choices we make, regardless of how seemingly mundane. 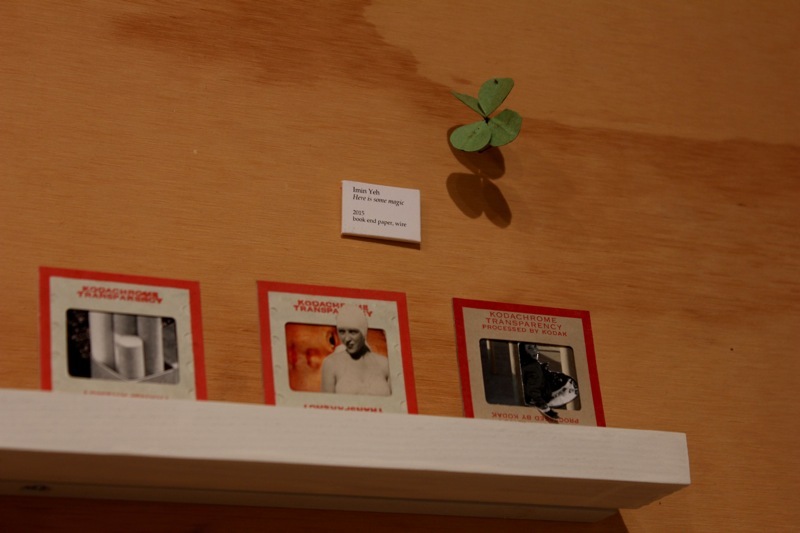 There are myriad other smaller works, such as the paper four-leaf clovers that are quietly hidden throughout Recology’s facilities, small but sweet interventions into spaces of monotonous work and of overwhelming waste. 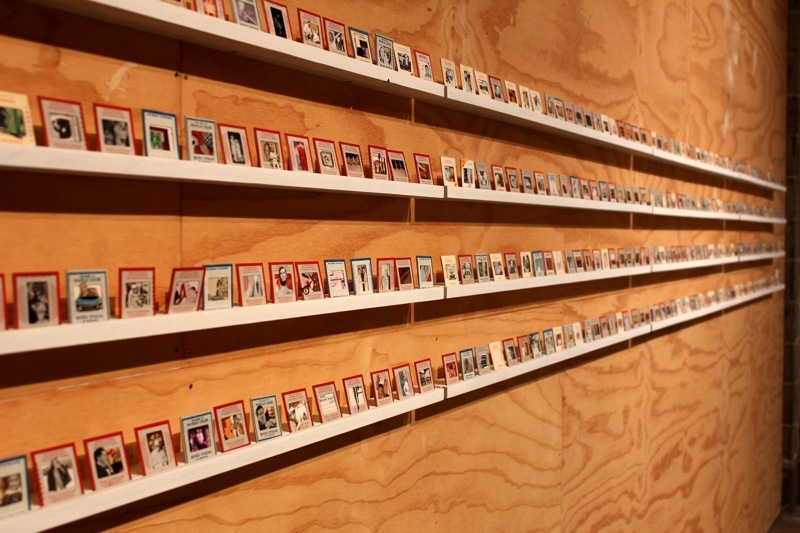 Yeh has also softly replaced 300 found film slides with miniature collages. 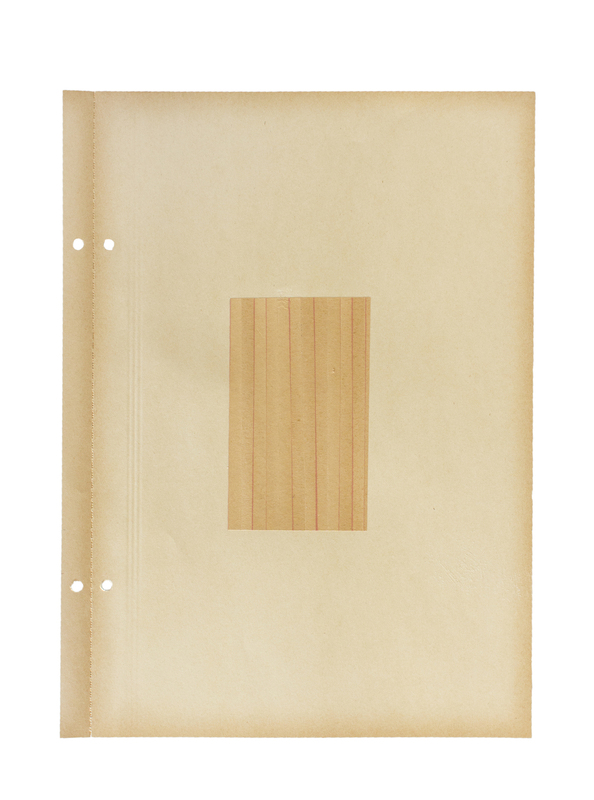 They form a repository of old printed ephemera, drawings, notes and photos nearly erased into the waste stream. They are frequently humorous individually, yet collectively, become the most human of the pieces. The printmaking roots that inform Imin Yeh’s work is unmistakable when observing her limited edition artist book, printed entirely from hand carved blocks made of found wood. 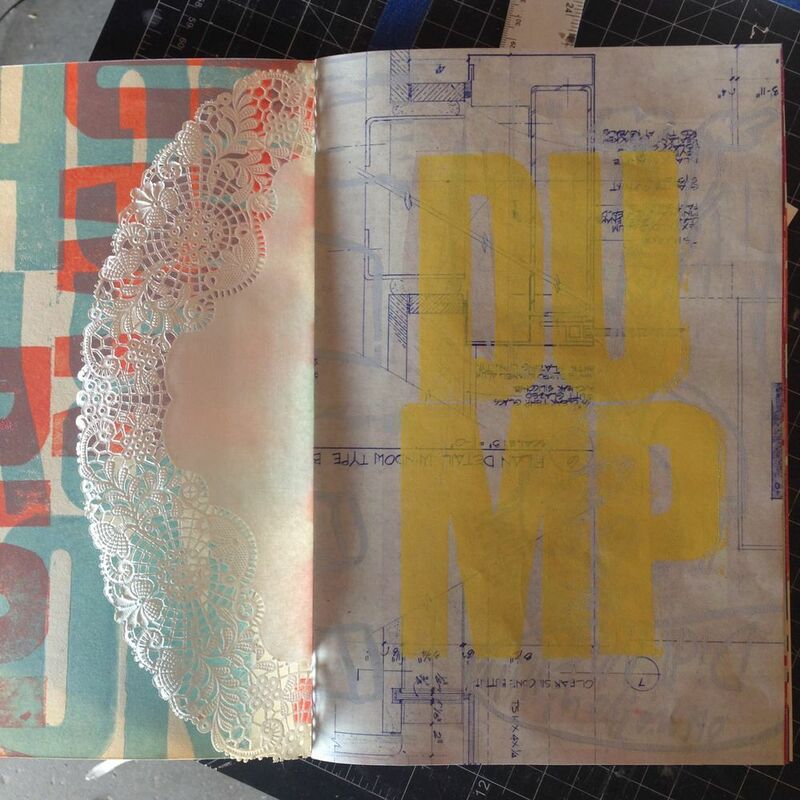 The publication features snippets of handwritten notes printed from letterpress type that she has carved from old Ikea shelves, paired with woodcuts of discarded children’s drawings. And yes, of course, there are gold bricks. 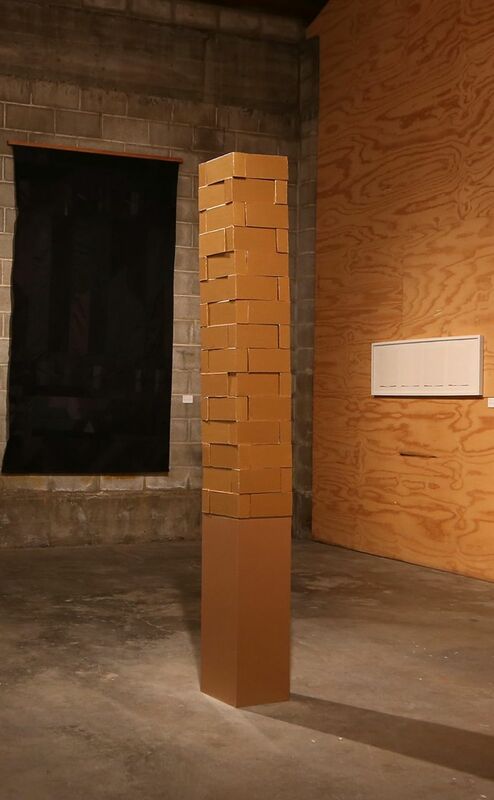 Neat and uniform, each brick is laboriously sculpted from corporate conference signs - spackled, sanded, primed, and painted -a tremendous amount of work in order to produce an object with neither the function of a brick nor the value of gold.